Handmade mermaid crowns for summer beach wedding. Greek bridal headpiece with seashells, pearls and dried flowers, woven in with suede leaves, beads and fabric white flowers on a wired flexible form wrapped with light blue thread. Unique wedding crowns that will bring an extra touch to your summer wedding in Greece and to all summer weddings by the sea. 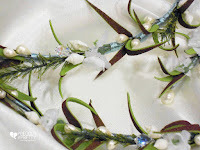 They are tied together with white organza ribbon. 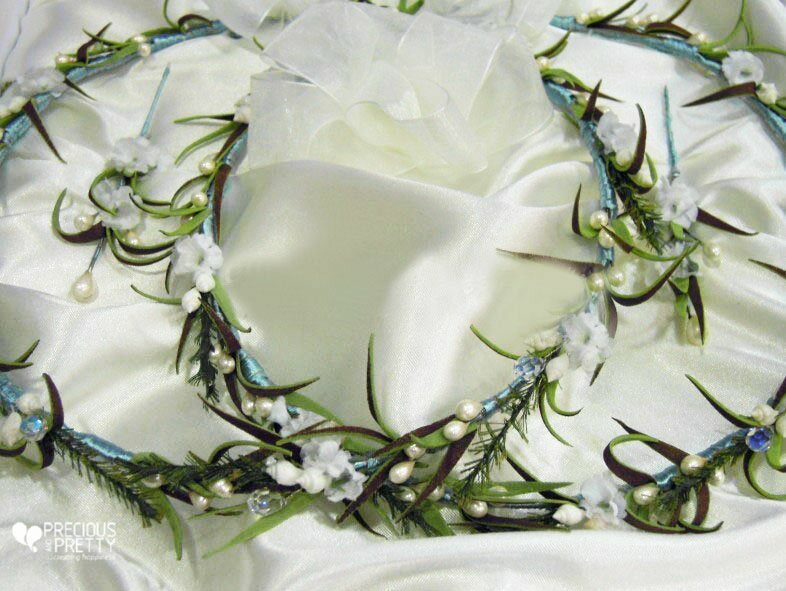 https://www.preciousandpretty.com/2019/01/mermaid-bridal-beach-crowns-n12.html Greek Wedding Favors|Orthodox Crowns|Stefana|Baptism Invitations Mermaid bridal beach crowns N12 Mermaid bridal beach crowns for summer weddings in Greece. Product #: Greek Wedding Favors|Orthodox Crowns|Stefana|Baptism Invitations_1759102384547458577 5 stars out of 5 reviews.